1082895980 10 Dec 2014 10:40 AftershockGaming Int. Brewmaster Disruptor Ogre Magi Storm Spirit Phoenix Batrider Beastmaster Phantom Assassin Tidehunter Doom Denial Esports| Io Puck Sven Mirana Clockwerk Broodmother Viper Jakiro Rubick Centaur Warrunner AftershockGaming Int. 1082833652 10 Dec 2014 09:39 Denial Esports| Puck Io Tiny Doom Crystal Maiden Broodmother Viper Terrorblade Jakiro Death Prophet AftershockGaming Int. Disruptor Ogre Magi Razor Timbersaw Wraith King Batrider Brewmaster Beastmaster Phantom Assassin Witch Doctor AftershockGaming Int. 1045502346 23 Nov 2014 06:15 Moscow Five International Brewmaster Vengeful Spirit Elder Titan Windranger Naga Siren Death Prophet Razor Faceless Void Invoker Templar Assassin AftershockGaming Int. Tusk Tidehunter Slark Skywrath Mage Zeus Batrider Viper Ember Spirit Ancient Apparition Doom AftershockGaming Int. 1045334375 23 Nov 2014 05:01 AftershockGaming Int. Razor Jakiro Witch Doctor Abaddon Faceless Void Batrider Io Ancient Apparition Tusk Puck Moscow Five International Viper Centaur Warrunner Shadow Demon Mirana Anti-Mage Death Prophet Brewmaster Slark Necrophos Morphling AftershockGaming Int. 1032412823 17 Nov 2014 11:05 AftershockGaming Int. Jakiro Ogre Magi Zeus Legion Commander Troll Warlord Batrider Io Brewmaster Doom Slark Denial Esports| Viper Ancient Apparition Beastmaster Skywrath Mage Phantom Assassin Death Prophet Razor Tusk Faceless Void Spectre AftershockGaming Int. 1032346878 17 Nov 2014 09:54 _PowerRangers Nature's Prophet Puck Visage Drow Ranger Clockwerk Jakiro Razor Phantom Assassin Ember Spirit Bristleback AftershockGaming Int. Elder Titan Dazzle Axe Alchemist Storm Spirit Tidehunter Batrider Ancient Apparition Viper Abaddon AftershockGaming Int. 1032252456 17 Nov 2014 08:34 AftershockGaming Int. Ancient Apparition Death Prophet Venomancer Slark Centaur Warrunner Batrider Tidehunter Ember Spirit Phantom Assassin Ogre Magi _PowerRangers Io Brewmaster Nature's Prophet Weaver Bane Jakiro Razor Necrophos Faceless Void Doom AftershockGaming Int. 1032122865 17 Nov 2014 07:06 AftershockGaming Int. Razor Brewmaster Witch Doctor Puck Axe Batrider Viper Io Legion Commander Vengeful Spirit mYinsanity - sensei Ancient Apparition Slark Queen of Pain Centaur Warrunner Shadow Demon Necrophos Jakiro Ember Spirit Earthshaker Elder Titan AftershockGaming Int. 1032026562 17 Nov 2014 06:09 mYinsanity - sensei Skywrath Mage Death Prophet Elder Titan Spectre Venomancer Jakiro Brewmaster Slark Faceless Void Ember Spirit AftershockGaming Int. Razor Ancient Apparition Earthshaker Clockwerk Necrophos Batrider Viper Legion Commander Lich Tidehunter AftershockGaming Int. 1031917802 17 Nov 2014 05:08 Denial Esports| Brewmaster Ancient Apparition Zeus Rubick Gyrocopter Razor Viper Tusk Tidehunter Spectre AftershockGaming Int. Death Prophet Jakiro Abaddon Disruptor Storm Spirit Io Batrider Ogre Magi Doom Slark AftershockGaming Int. 1030481846 16 Nov 2014 10:15 Denial Esports| AftershockGaming Int. AftershockGaming Int. 1030397293 16 Nov 2014 09:07 Denial Esports| Brewmaster Skywrath Mage Mirana Axe Tidehunter Razor Viper Enigma Abaddon Spectre AftershockGaming Int. Death Prophet Jakiro Dazzle Tusk Necrophos Io Batrider Puck Beastmaster Ogre Magi AftershockGaming Int. 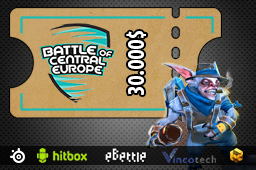 1030025843 16 Nov 2014 05:33 AftershockGaming Int. Death Prophet Tidehunter Tusk Disruptor Spectre Io Batrider Rubick Drow Ranger Nature's Prophet _PowerRangers Brewmaster Vengeful Spirit Ancient Apparition Lycan Doom Jakiro Razor Slark Weaver Medusa AftershockGaming Int. 1029903997 16 Nov 2014 04:36 _PowerRangers Tidehunter Luna Ogre Magi Legion Commander Visage Razor Death Prophet Earthshaker Abaddon Necrophos AftershockGaming Int. Jakiro Rubick Ancient Apparition Slark Brewmaster Io Batrider Witch Doctor Viper Skywrath Mage AftershockGaming Int. 1029720735 16 Nov 2014 03:15 AftershockGaming Int. Razor Jakiro Ancient Apparition Ember Spirit Witch Doctor Batrider Legion Commander Skywrath Mage Disruptor Centaur Warrunner mYinsanity - sensei Viper Ogre Magi Morphling Lich Clockwerk Death Prophet Brewmaster Tidehunter Slark Faceless Void AftershockGaming Int. 1029534199 16 Nov 2014 01:59 mYinsanity - sensei Visage Spirit Breaker Faceless Void Witch Doctor Batrider Death Prophet Brewmaster Tidehunter Centaur Warrunner Ancient Apparition AftershockGaming Int. Razor Jakiro Vengeful Spirit Slark Earthshaker Viper Legion Commander Drow Ranger Nature's Prophet Necrophos AftershockGaming Int.